The weather is warming up and it’s the perfect time to enjoy a light and simple meal outdoors. Full of fresh summer flavors, this Roasted Bell Pepper Salad is the perfect outdoor meal. It travels well and the longer it sits the better it tastes. Try out our flavor packed salad the next time you’re barbequing or when you’re packing lunch for a pleasant picnic outdoors. 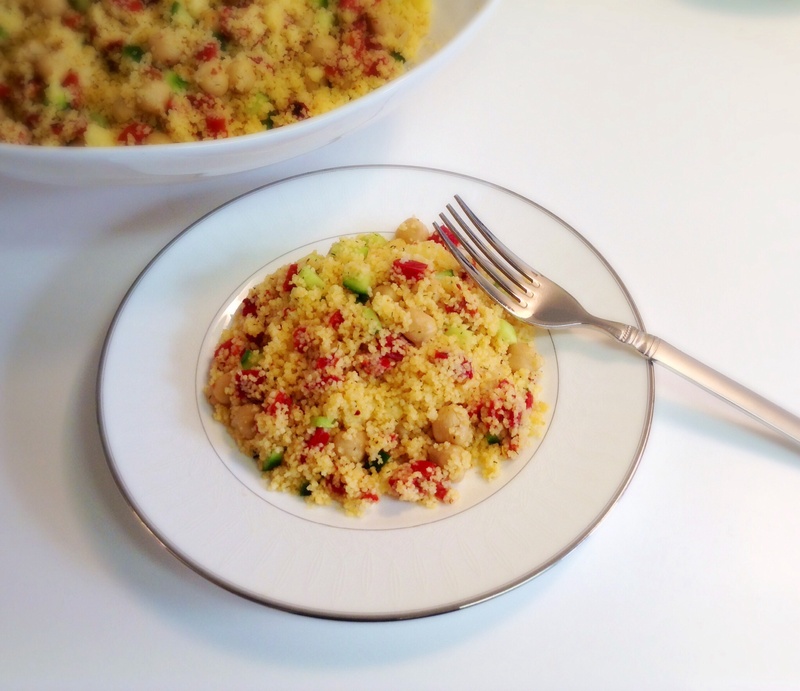 Begin by cooking the couscous following the instructions on your package. 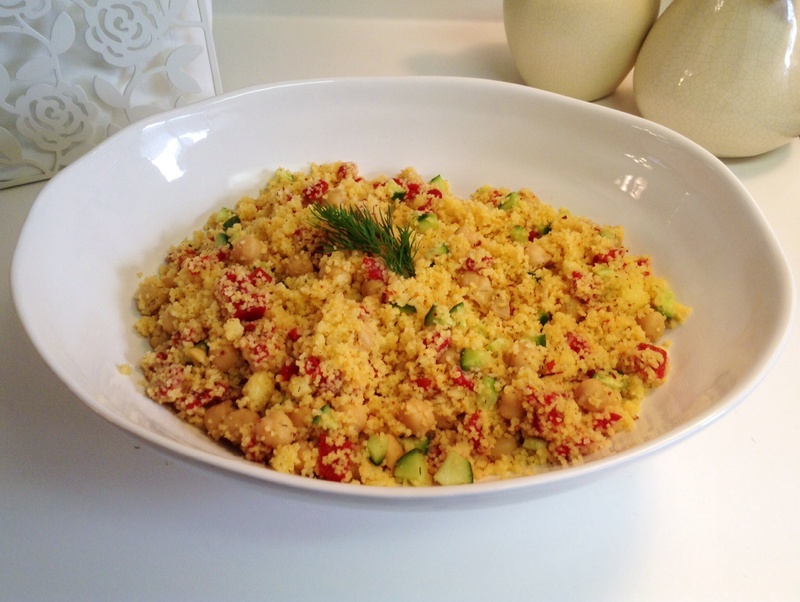 When couscous has completely cooled add the garbanzo beans, roasted bell peppers, cucumbers and dill. In a small bowl, whisk together the olive oil, lemon juice and sea salt until emulsified. 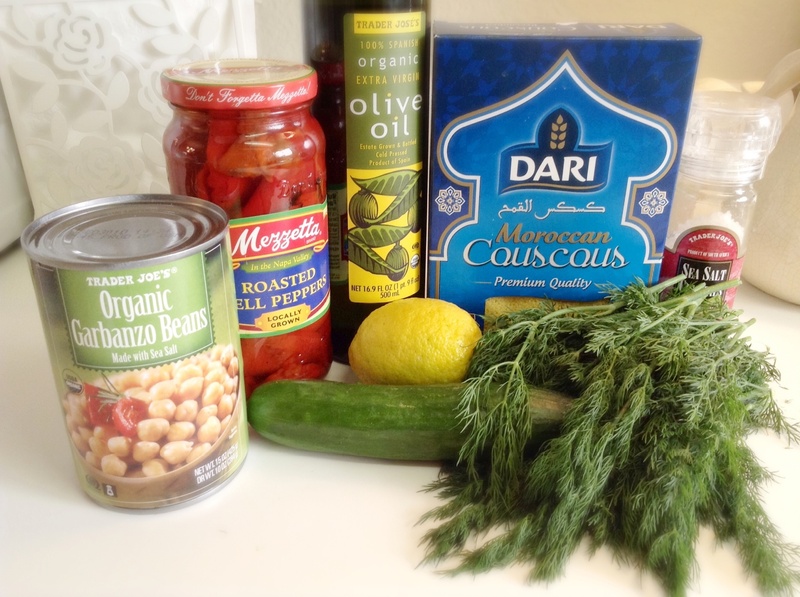 Pour it on top of the couscous, garbanzo beans, peppers, cucumbers and dill. Toss it all up until all the ingredients are coated with the vinaigrette. Season the salad, to taste, with salt and pepper and enjoy!